La Roux (/lɑːˈruː/ lah-roo) is an English synthpop act formed in 2006 by singer Elly Jackson and record producer Ben Langmaid. 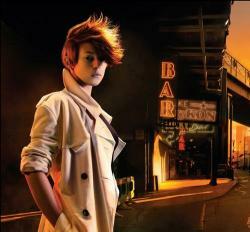 Their debut album La Roux (2009) was a critical and commercial success, winning aGrammy Award and producing hit singles such as "In for the Kill" and "Bulletproof". Recording of a follow-up album was marred by unsuccessful collaborations, the cancellation of two planned release dates, and reported conflict between the duo. Langmaid ultimately left the group, and Jackson released a second album, Trouble in Paradise, in 2014, maintaining the former duo's name.